"It works well with about any headphone with almost no compromises or sonic quirks to nitpick. And I'm not saying it's just good for the money, or that it's a jack of all trades and master of none. 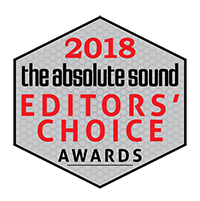 It's a truly high-performing, do-it-all, well-rounded, and refined headphone amp regardless of price…but, yes, even more exciting because of its price." "...if you've already invested in a nice set of headphones and never tried them with an amp you don't know how good your headphones really are. You're missing out. To test that assertion I auditioned a set of Beyerdynamic T 51p on-ear headphones plugged into my Mac Mini's headphone jack, and then with the Magni 3. The Mac Mini's sound was a tad dull and bland, while the Magni 3 had more kick and energy, so it was more fun to listen to. These headphones really shone with the Magni 3. I also listened to the Magni 3 with a set of Sennheiser Momentum 2.0 over-the-ear headphones. The sound was crisp and clean, a big step up from what I got with listening to my iPhone 6S, which was dynamically crushed and lifeless by comparison. It wasn't even close." One of the best amps we've ever tested. "And when it comes down to it, what the Magni 3 offers is so compelling that we genuinely can’t think of another competitor in this particular price range. Up until about $300 – more than three times its cost – there’s simply nothing else like it. It takes all the 2-Uber-Multibit nonsense of the previous Magni generation, and simplifies it. It offers terrific sound, wonderful design, splendid ease-of-use, the ability to power just about any pair of headphones, and – as we keep harping on about – an attractive price. And even if it didn’t, it still has the greatest on-switch noise of any amp out there. So yes: fight us in the comments. Go ahead. We love this amp, and think you will, too." "The Magni3 offers excellent bass and sub-bass control, pitch definition, and drive, as well as a very dynamic upper midrange...a simple and cost-effective way to drive a wide variety of headphones at or near their optimum potential. "Want a simple, affordable, great-sounding headphone amp? This is it." "Magni 3’s combination of traits yields the best overall delivery I’ve heard among its segment of affordable solid-state amplifiers (and several rather less-affordable models), which often lean towards being bright, or hard sounding - or sometimes “clinical” - not something one could accuse Magni 3 of. This is not an amp you buy to fix tonality problems elsewhere in your chain but nor will it add any new ones, and while not necessarily state-of-the-art in any one area (except, perhaps, in overall value), is unfailingly enjoyable and musically convincing." "Magni 3 performs so well, in fact, that you can go a long way up the headphone ladder before it will become the limiting factor in your listening, particularly on a technical level. For example, this little unit is sufficiently resolving as to be capable of exposing the small and subtle differences in detail resolution that exist between say the Massdrop x Focal Elex and the Focal Clear." "It is easy to recommend Magni 3 not just as a “$100 headphone amp” or an entry-level unit, but on a general basis and as something that many people will never feel the need to upgrade beyond."